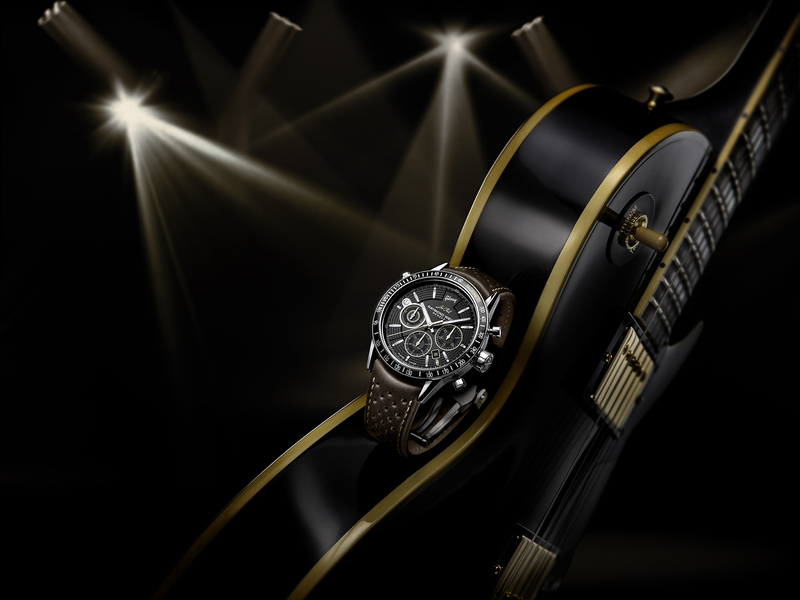 Raymond Weil celebrates with the Freelancer a true music icon – the Gibson Les Paul. You don’t need to be a guitarist or a musician of any kind for that matter, to have heard of this legendary instrument. This guitar has inspired and served the best artists of all time; from Jimmy Page to Keith Richards and Jimi Hendrix to Eric Clapton musicians have turned to this instrument, making Rock’n’Roll history. The manufacturer honors this icon with a new watch – the Freelancer Les Paul. 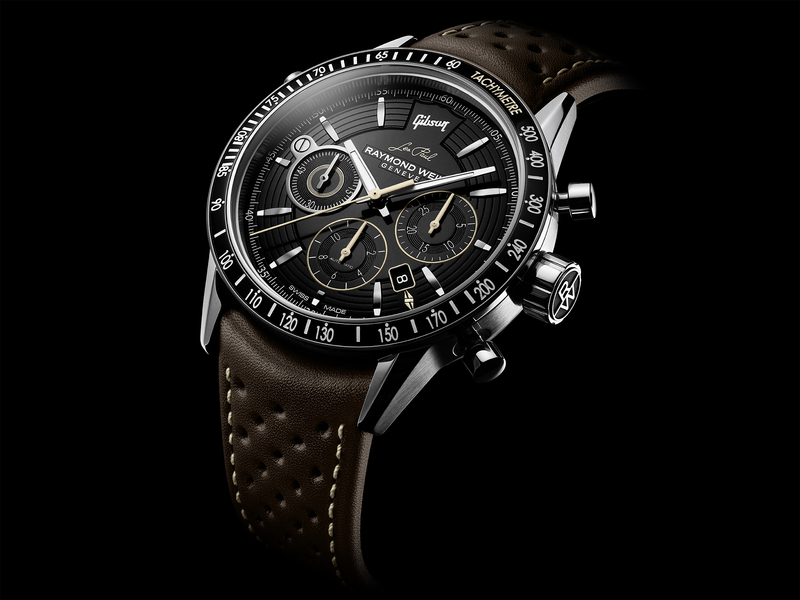 Raymond Weil has been putting its name in lights alongside some of the greatest musicians of all time for nearly half a century in various special editions. The body of the 43.5 mm case is made of steel and its tachymeter bezel is enhanced with black PVD inspired by the lacquer on the “Black Beauty” – a guitar renowned for its electrifying performance that continues to astound musicians worldwide. The board features a circular guilloché motif featuring six chords studded by fret-shaped hour markers. 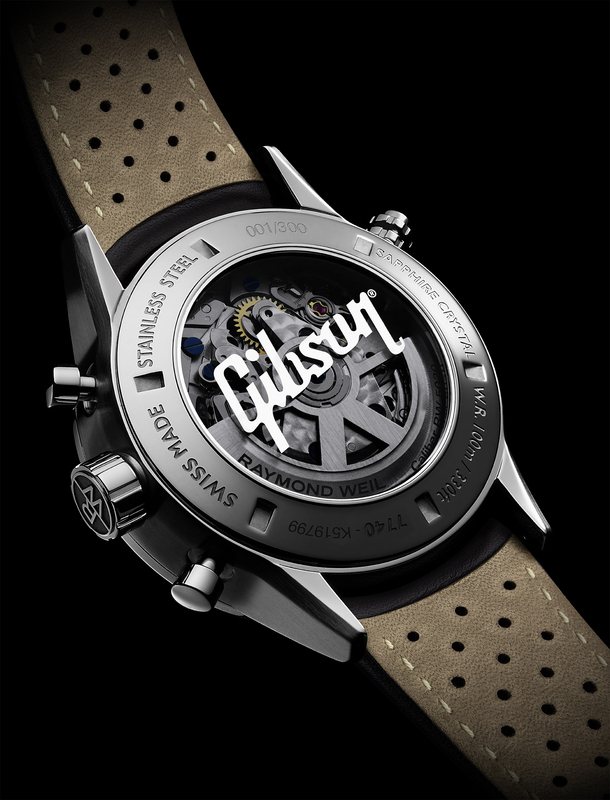 The “fittings” – tri-compax chronograph counters, date and strap topstitching – of the Freelancer are also inspired by the Gibson Les Paul and set with golden highlights. At 12 o’clock, the names of the guitar manufacturer and the Les Paul signature appear, while the split-diamond inlay – a distinctive feature of the Les Paul Custom shines in golden tones next to the date window at 4.30. At 9 o’clock Raymond Weil has placed the small seconds. Hands and indexes are luminous and contrast well with the black dial, which makes the watch very legible, even in the dark. The Freelancer is powered by a self-winding mechanical movement, the RW5010. It provides the energy for central hours, minutes and small seconds, a date and the chronograph functions as well as a power-reserve of 46 hours. The ebony perforated calf leather strap brings to mind the sound holes that are part of the body of a guitar. This watch clearly is a collector’s edition and limited to 300 pieces. 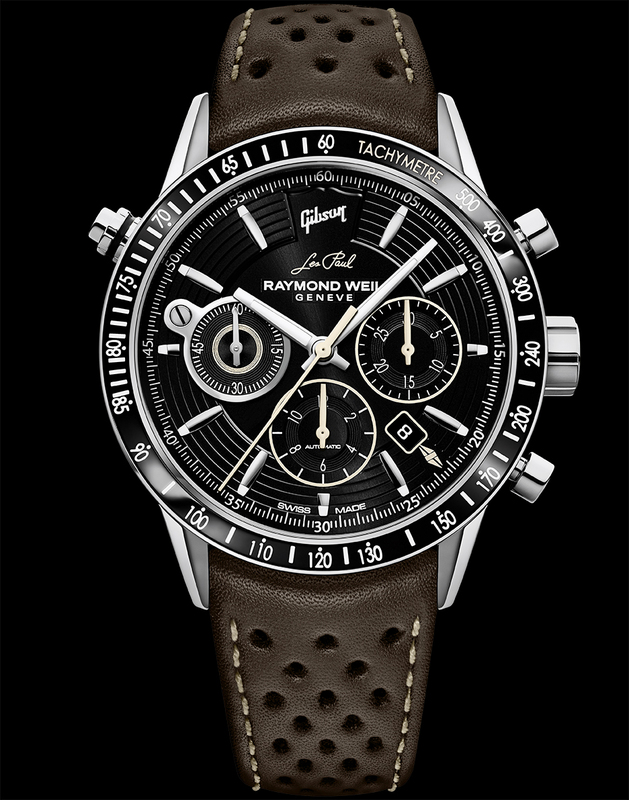 Every Raymond Weil Freelancer Gibson Les Paul is delivered in a presentation box inspired by the famous Gibson guitar cases. This entry was posted in Chronograph, Mens watch, Uncategorized and tagged Chronograph, design, limited edition, Men's Watch, raymond weil, small second, stainless steel, swiss made by admin. Bookmark the permalink.